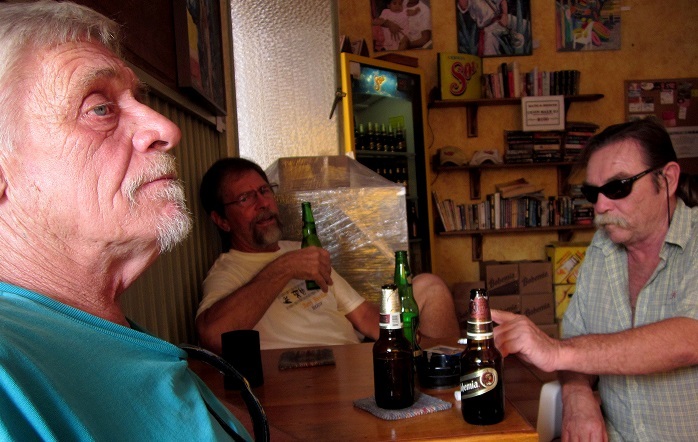 Tall tales and more from Hector's Bar in Barra de Navidad, Mexico. Jay Daniel has been a full-time resident of Barra de Navidad, Jalisco, Mexico since 2009 and has yet to give himself a suitable border promotion to win friends and influence people. Please note: Two highly successful TV shows, Moonlighting and Rosanne were both produced by a Jay Daniel. Go ahead...Google it! Fire in the Barra Manure Pile can be found in Take Two: Another Anthology of English Writing from the Costalegre. Even though contributors to the Bar None anthologies receive a free copy, Jay has been the first to purchase both Bar None anthologies at list price. We thank Jay for his patronage, his enthusiasm and his friendship over the years.